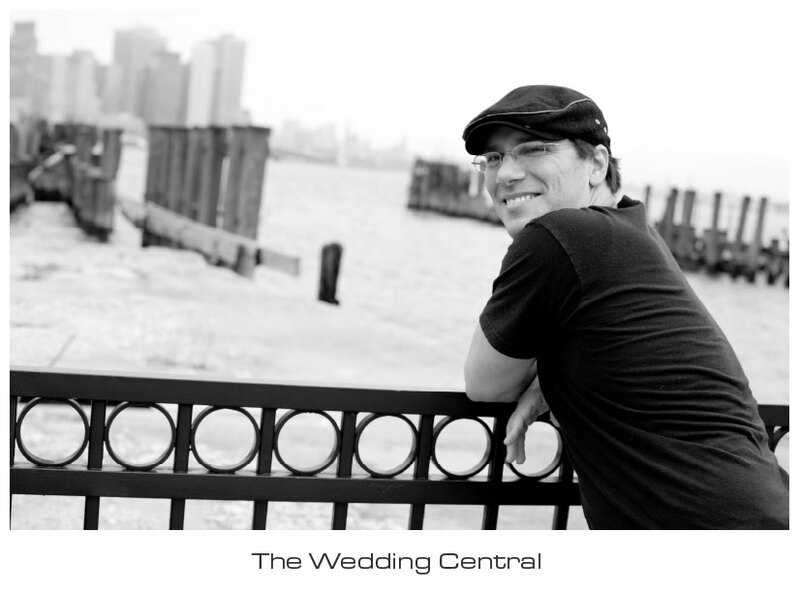 New Jersey Wedding Photographers - NJ NY Photography | What to look for in a wedding videographer? Recently, my cousin became engaged, and I will be his best man. Naturally, the subject of who will be his wedding videographer came up. His answer was simple: what should I look for in a wedding videographer? I had to think a little bit before answering. I mean, I never really thought about it from a client’s perspective, and I realized that this must be what many couples go through when choosing a wedding videographer. So I would like to shed some light on the subject. When I was looking for a doctor, a good friend of mine, who is an excellent surgeon, told me: “If you have to select a doctor, would you go with the one that does one or two operations a month, or the one that does three surgeries a week?” I did not have to think twice. The answer was obvious, the one who does three operations a week. Why is that? That doctor who does more surgeries is obviously more experienced. When you look for a wedding videographer, that same remains true. On average, a busy wedding videographer will record about 20-35 weddings per year. Above 35 weddings could be overkill. First of all, make sure that your wedding videographer has done more than thirty weddings. A wedding videographer that has done more than fifty wedding could be easily considered an experienced videographer. I wouldn’t really put much weight if the wedding videographer says that he or she has two, three or five years of experience. It does not really matter. What matters is how many wedding he or she has done. The more the merrier. Why is experience so important to me ? Because in DSLR video, focusing is extremely important and difficult, and practice makes master. Unless your taste is for video that goes in and out of focus, you should look for a videographer what will keep your video in focus. Depending on your budget you may want to go with only one wedding videographer instead of multiple wedding videographers. Watch samples of his or her work while shooting a wedding video alone. Ask what is the best position he or she adopts during the ceremony and the reception. Ask to see work while working with several videographers as well. How they position each camera during the ceremony and reception. Ask to watch excerpts of a wedding video more than a highlight. Many wedding videographers emphasize in the highlight more than the wedding video itself. I have seen wedding videographers missing important parts of the ceremony because they are working to get an exotic angle down from the aisle floor or with the slider. They do this just to create more production value to their highlight to show future clients. There are many, but many wedding videographers still using regular HD cameras, which give you acceptable image, but not cinematic look like DSLR cameras would give you. Image quality is just half of your wedding video, sound is the other half. A wedding video with bad sound could damage the quality of the video. Ask the wedding videographer how they capture sound during the ceremony and reception, specially if you are getting married at a church, which has a lot a reverberation. Just make sure your wedding videographer mics the officiant or officiants, the groom and podium. They should be able to capture good sound from anywhere people will be talking or singing. Ask how long your wedding video will be. I have heard of wedding videographers that charge a great amount of money for their service, but only provide a 5 minute highlight and unedited raw footage. If you pay a couple thousands more, they give you 20 to 30 minutes wedding video. They reason that a video of more than 30 minutes could be boring and people would not enjoy it. I am one of those wedding videographers, who does not believe that. I think that the client could get a nicely edited wedding video of the entire wedding without being boring. If you would like to jump to certain part of the video, there are always the chapters. Just go to the scene selection on your dvd or blu ray and select whatever you would like to watch. Don’t take me wrong, a shorter version of your wedding video is awesome, and we do offer it. In fact, we were one of the first studios to introduce this concept, but I just don’t think that it should replace a long version of your complete wedding video. Ask about the turnaround of the work. There are many wedding videographers that promise a first draft of your wedding video in five or six months. In my opinion that is too long. I provide a first draft of a wedding video within 2 months from the wedding day, so I can’t really comprehend six months. Check how the final product is delivered. There are many wedding videographers that are still providing their clients with dvd only, and what good is it to record something in hd if it will be delivered in standard definition. Other wedding videographers will charge extra for blu rays. So make sure you know the final format. Even if you don’t have Blu-ray, make sure you get Blu-rays. Ask if they provide unlimited access to the video online or the digital copies for your mobile device. Check if they allow changes to your wedding video and how the terms are for these changes. A wedding video is one of the best memories you will have from your wedding day. You need to make sure that you will get the best possible wedding video.